Heat shock protein 90 is an ATP-dependent molecular chaperone involved in the maturation and stabilisation of a wide-range of proteins in both the presence and absence of cellular stress. Within the ever expanding list of HSP90 client proteins is a broad range of bona fide oncoproteins. This has thrust HSP90 into the spotlight as an exciting anticancer drug target. Several natural product and semi-synthetic derivatives have been described which inhibit the activity of HSP90 by preventing the association of the N-terminal domain with ATP. 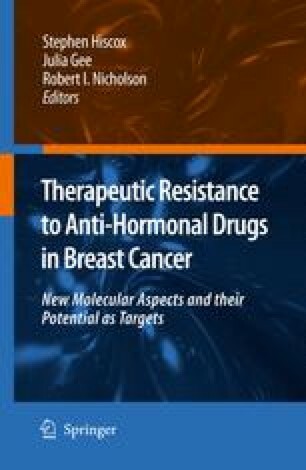 This approach is exemplified by 17-AAG which is the first-in-class HSP90 inhibitor to complete phase I clinical trial and provide proof-of-concept for this approach with the observation of responses in patients with malignant melanoma, multiple myeloma, prostate and breast carcinoma. Research is now focused on the design of more potent and drug-like synthetic small-molecule inhibitors. This article provides a personal perspective of the advances made in the development of novel HSP90 inhibitors with particular emphasis on work from our own laboratory. We will also review alternative approaches to inhibit HSP90 which are currently being evaluated. These include selectively inhibiting particular HSP90 isoforms, blocking co-chaperone interactions, designing substrate mimetics and modulating the post-translational modifications of HSP90.